We’re all back to our routines as the holiday hustle and bustle is behind us. You’re probably wondering if now is the right time to finally make an excuse to pick up the new iPhone 6s you’ve been waiting for and still save money this year. Well here are 5 of the most essential money saving apps available on IOS, to justify buying the new iPhone. If you’re a big picture kind of person, or you just like to see everything all in one place, Mint has your back. 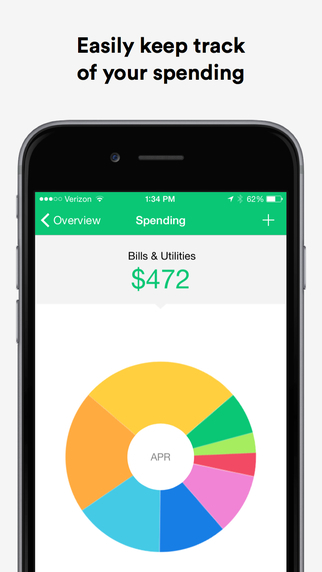 Mint is a finance app that allows you to manage all of the aspects of your budget in one place. You can set limits on important stuff like gas, groceries, date night, as well as monthly budgets. It even has a score system that tells you how well your budget is being followed. You know you’re going to be travelling this season, as long as the weather allows for it anyway. Why don’t you keep track of how much money your family spends on fuel for your vehicles? 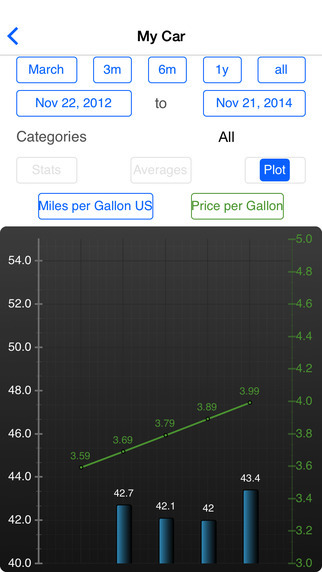 Fuel Log 3 tracks how much fuel you consume, and calculates how much you can buy relative to your budget. You can even set the price by litre or gallon as the price changes. You know you’re going to be buying gifts again next Christmas, why not actually plan for it this year? The Christmas List allows you to set a budget per person you’re going to be spending money on. 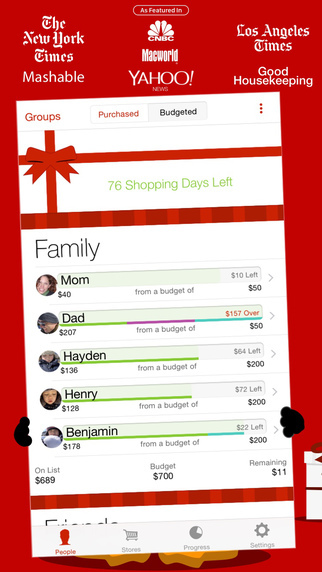 It’s a really straightforward app that will take the guesswork out of tracking the budget for your loved ones, which let’s face it, is the least fun part of the Christmas season. 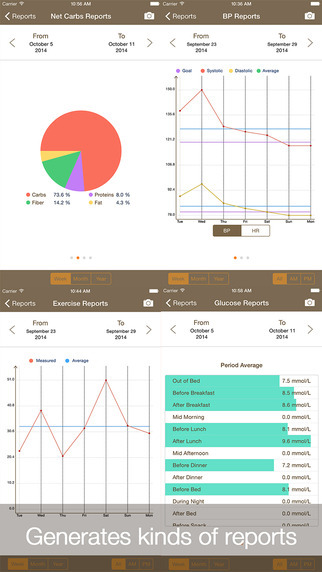 Food is one of the most universal things to look forward to during major holidays, why not track nutrition in the New Year now that you’ve got some new resolutions. The Daily Carb doesn’t just track carbohydrates; it sets up management for shopping, exercise, water intake, daily nutrition and more. Never feel guilty about how much you eat during the holidays again with the Daily Carb. Think you will have trouble keeping track of receipts piling up over the holidays? Who uses paper anymore anyway? Store all your receipts on your phone digitally. 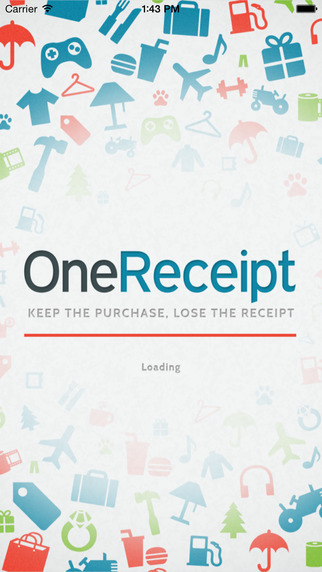 OneReceipt lets you take a picture of the receipt, and store the information conveniently on your phone. The app will allow you to save each receipt by name and date, in your library. You can even log in with multiple accounts, to keep track of your receipts, or anything else you might want to save. Make the most out of your holiday season with these 5 apps. You will be much more efficient this year and won`t have to worry about loosing track. You also now have an excuse to pick up the new Apple products when they come out!